Settling in Cape Town after many years of living overseas we opened “LOCO Lounge International Restaurant, Café and Tapas” in December 2012. We wanted to create a little “home away from home” with creative dishes, hand-made authentic New York bagels, good coffee, really freshly squeezed juices, inventive and tantalizing cocktails, delicious tapas and food as organic, fresh, seasonal and preservative free as possible. Food, décor and staff (from seven countries speaking almost a dozen languages) reflect fusions of flavours and cultures with a touch of madness. “Flavourist” Debbie is the brains and taste buds behind our dishes and their presentation to ensure your eyes also get their share of enjoying your meals. Tom grew up in 4 countries and has 30 years of management experience and humanitarian service in international development and emergency relief operations on four continents including for the Red Cross and UNICEF. He also has a nutrition degree from Justus von Liebig University in Germany. He has been guiding Debbie through the foods of all the places they lived in and visited whilst posted in Africa, Asia and the Americas. Debbie is a self-made chef of note. Many years of working to produce flavour full dishes often made from only limited and/or unknown ingredients available in the places we lived in for a picky eater and nutritionist husband represented a huge challenge. But it also taught her to be very inventive, creative and flexible, not to mention persistent and patient. Of course, a few classes in some of the best Thai cuisine cooking schools in Bangkok can only have helped. As a consequence we provide opportunities for healthier eating but will never compromise on flavour. Come and taste for yourself. 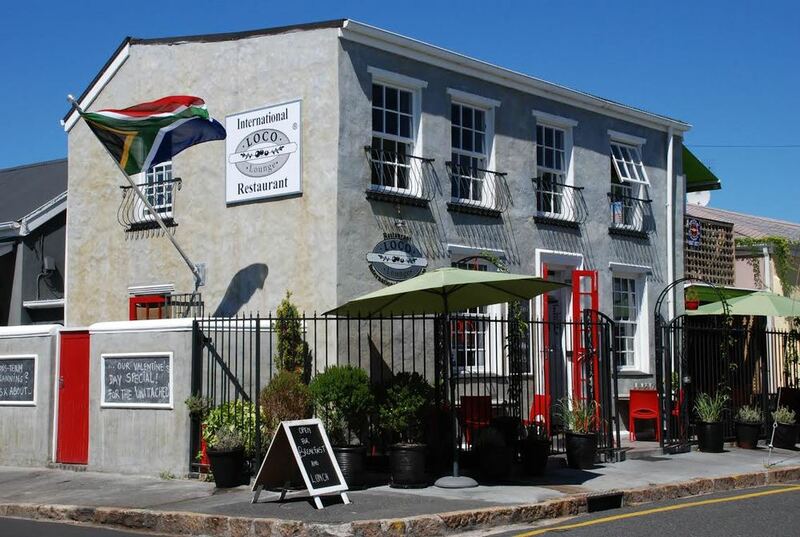 You will find us at 58 Surrey Street corner Second Avenue, Harfield Village’s “Restaurant Row”.